If you are studying for a degree in Human Resources Management, you may be wondering what a human resources coordinator does in a business. This is a very relevant question for professionals who are entering a growing field that exists in virtually every industry across the globe. While there are several different roles that you can aim for when you are earning your degree, being a coordinator could be a great fit for you if you love to recruit, do research and seek talent. Read on, and learn about the roles and responsibilities of the human resources coordinator so that you can see if this is the right career path for you. The main role of the Human Resources coordinator is to coordinate. They will facilitate every aspect of developing the HR department so that all departments are able to function effectively. In order to develop the HR department, the coordinator will perform several different tasks that are involved in the recruitment of new talent. In a single day, you may review and maintain records, plan recruiting events, coordinate the procedures of recruitment, review resumes, schedule interviews and conduct background checks to ensure that the new hire is honest. Upon hire, you will also be in charge of helping employees enroll in insurance programs when they are eligible for their benefits package. You must work closely with the Human Resource directors, staff and also with applicants, which makes you the middle man between people who want to work for the organization and the organization itself. If this sounds like a position that you would like to fill, you may be wondering what it will take to become a coordinator. According to the Houston Chronicle, you will typically need a minimum of a bachelor’s degree in business or Human Resources to be considered for non-managerial roles. If you want to work with a top corporation or you want a mid-level or upper level title with the responsibility, you will need a Master’s in HR Management, Business Administration, or Labor Relations. Most employers prefer coordinators that have experience. If you have a degree and no experience, the best way to get attention is to complete an internship. Is This the Right Field For You? 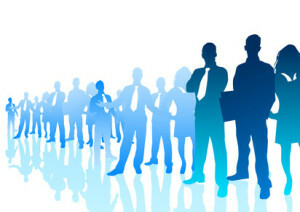 Human Resources is an evolving field that has steadily become a central part of business. Instead of just being the department that hires and fires, HR is now involved in the strategic planning of organizations. If you love to conduct research, you have interpersonal skills, and you have a talent for spotting talent, this could be the right field for you. Considering the fact that the need for professionals is projected to grow by 13 percent in the next 7 years, this could be a great time to enter the field and climb the ladder, according to the Bureau of Labor Statistics. One of the great things about working as an HR coordinator is that you can work in nearly any industry. This means that you can choose industries that are high in demand so that you can benefit from demand. Now is the time to take the first step, and that first step to do what a human resources coordinator does in a business is to earn your Bachelor’s degree in the Human Resources field.